— Joseph Phelps Freestone Pinot Noir 2014 ($55) – The 10th anniversary vintage is a blend of the two vineyards. This pinot noir has aromas of bright red fruit, such as cherry, pomegranate and a savory finish with notes of sandalwood and sage. 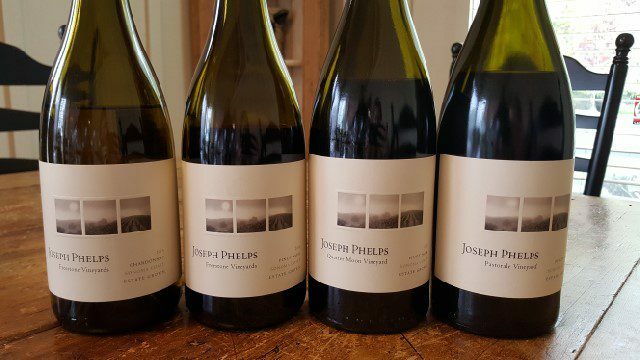 — Joseph Phelps Freestone Quarter Moon 2013 ($75) – Made with whole clusters, this wine exhibits greener notes of pine needle and forest. — Joseph Phelps Freestone Pastorale 2013 ($75) – Made with whole clusters, this wine exhibits notes of red fruit and spice, such as cloves. The Joseph Phelps Freestone Winery is a state of the art winery with five fermentation rooms, each set to a different temperature. The winery is gravity flow and they use natural yeasts. While they were one of the first to plant vines in Freestone, others, such as Kistler and Kosta Brown, have also planted there now. One quick note, as of Jan. 1, 2017, Joseph Phelps Freestone will be closing their tasting room. After that, head to the renovated Joseph Phelps winery in Napa Valley to pick up a bottle of their Freestone wine before heading down the Bohemian Highway. Wild Flour Bread has been a Freestone staple for 18 years. Owned by baker Jed Wallach, the breads are all baked fresh daily in a wood fired oven. The breads are all sourdough, meaning they are risen only with organic sourdough, resulting in what the bakery describes as “the best tasting, healthiest and longest lasting bread.” The breads have thick hard crusts and are delicious. The bread is only available at the bakery, which is open on from Friday to Monday. The bakery opens at 8 a.m. and makes up to 900 loaves daily. 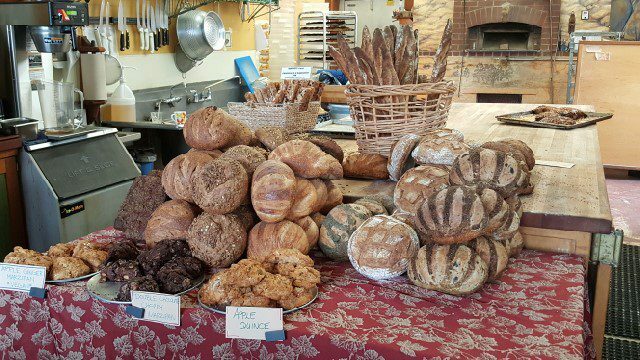 There are typically 10-12 kinds of bread daily, and they are all available to sample. Freestone Artisan Cheese was opened by Omar Mueller. Mueller was the specialty wine and beer buyer at Whole Foods and then traveled to Burlington, Vermont, home of The Vermont Institute for Artisan Cheese to learn the art of fine cheese-making. He apprenticed at the Cellars at Jasper Hill and then returned to Freestone where he made cheese that he sold at farmers’ markets. In 2013, when the little property around the corner from his home became available, he opened a cheese shop. Mueller is charming and funny but most importantly passionate about cheese. 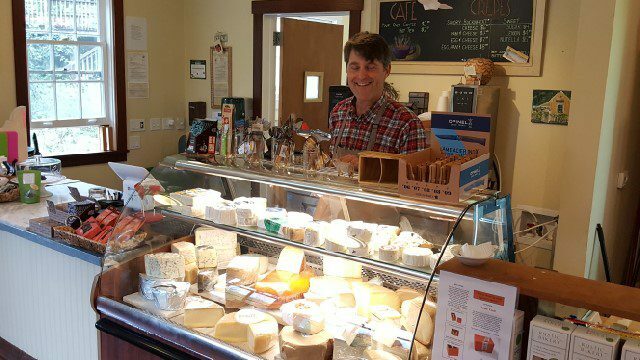 The store primarily features small production cheeses produced locally in West Sonoma and Marin. There are also a couple cheeses imported from Vermont. Osmosis founder Michael Stusser studied at UC Santa Cruz where he became involved in the early organic gardening community. In the early 1970s, he came to bucolic Sonoma where he began the practice of meditation. Working as a landscaper, he traveled to Kyoto, Japan in the early 1980s to apprentice in traditional Japanese landscape gardening. It was during his time in Japan that he discovered the traditional cedar enzyme baths that both enhanced his spiritual journey and offered relief from his sciatica. He returned to Sonoma in 1984 and created a small cedar enzyme bath on a friend’s ranch in Sebastopol. Word spread about the bath and he purchased five acres in Freestone and opened Osmosis Day Spa. It is a place where you can rejuvenate in the Kyoto-style meditation garden, float in the hammock garden or enjoy a massage in a private pagoda. 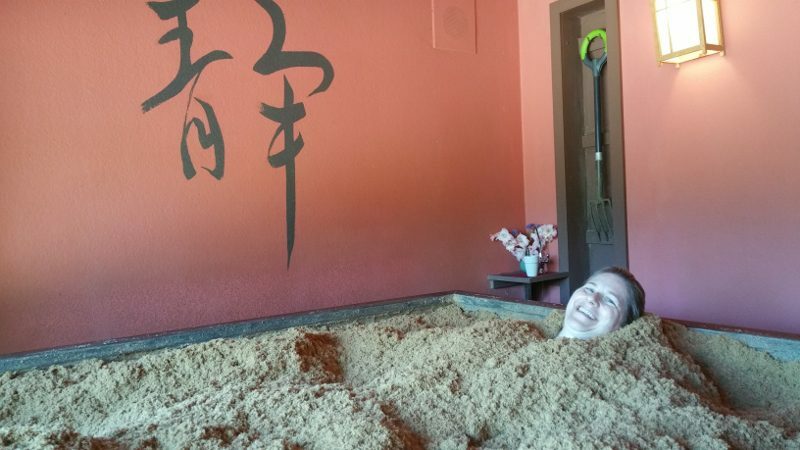 But the best part is the cedar enzyme bath, a fermentation bathing ritual found nowhere else in the U.S. Osmosis is the only North American spa that offers this Japanese-style treatment. The cedar enzyme bath is composed of natural ingredients — cedar, rice bran and a biological catalyst — that activate the bath. In some ways, it is like a sourdough starter in baking in that it simulates the fermentation of the products that generate heat. As you submerge your body, the texture is like a warm pillow. And the benefits of the bath are detoxification, increased metabolism, improved blood circulation, internal organs rest, reduction of swelling, relief from aches, reduced stress and cleaning the pores. A day in Freestone is a full day of fermentation happiness. Perhaps start with a cedar enzyme bath and then pick up a bottle of wine, some cheese and bread and enjoy a snack in the garden of Wild Flour Bread. You will feel relaxed, rejuvenated and content. This entry was posted in Food, Lifestyle, Travel, Wine and tagged artisan bread, bread, cheese, fermentation, fermentation products, Freestone, Freestone Artisan Cheese, Jed Wallach, Joseph Phelps, Joseph Phelps Freestone, Michael Stusser, Napa Valley Register, Omar Mueller, Osmosis Day Spa, Sonoma, Sonoma Coast, Sonoma County, spa, Wild Flour Bread, Wine by Allison Levine.